Bainbridge Design is an interior design and space planning firm that has been riding high for 30 years. 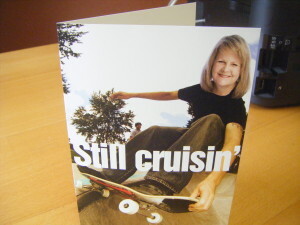 This Anniversary card shows how they have been successful - by blending seasoned wisdom with youthful, creative energy. And not being afraid to photoshop your head onto a skateboarder.